You use a pin wrench to tighten the ring which holds the plate in place so it does not slip on the spindle. A bit of round rod makes a very adjustable pin wrench and if often called a Tommy Bar. Because 99% of the time all I want to do is index by 4 or 6 or on the odd occasion 8 and as fast as possible. Not sure what You can even rotate them to round over parts again means. I seen some comments on this thread about needing an indexer,or rotary to cut gear. I say not true a very simple way to cut gears is a -v- block and lid from a container. Here is a video of the process and will work for any number of teeth. Just saying. As you are approaching retirement yourself, methinks you'd best review your future plans right away. More time...yes. Lots of spare money...well...everyone of us has a different definition of 'lots'. Jason came to my rescue once again. A Tommy Bar. I happened to have one and it fit! Part of my reason for asking these questions is that I have a cylinder to make that is partly round and two flats. Starts from a rectangular block of material. 1) Kozo used a method where he drove a lathe carriage back and forth to shave off the curved sides. Then filed to final shape. 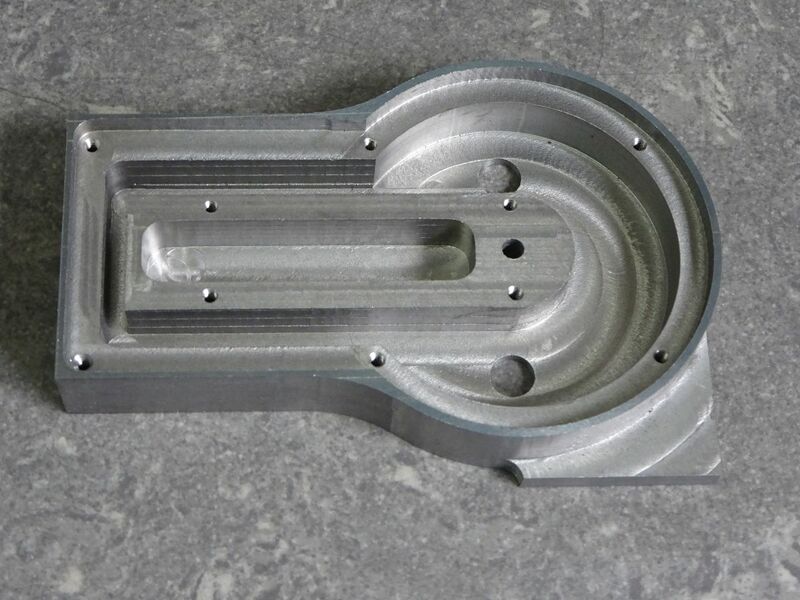 2) I've seen others use a rotary table in a vertical position and then mill and rotate to get the curve. I'm leaning towards the 2nd method (which probably means I need to get a chuck for the RT and make up a mandrel). Sigh. More money. Time to play the game of what budget item I can steal from. 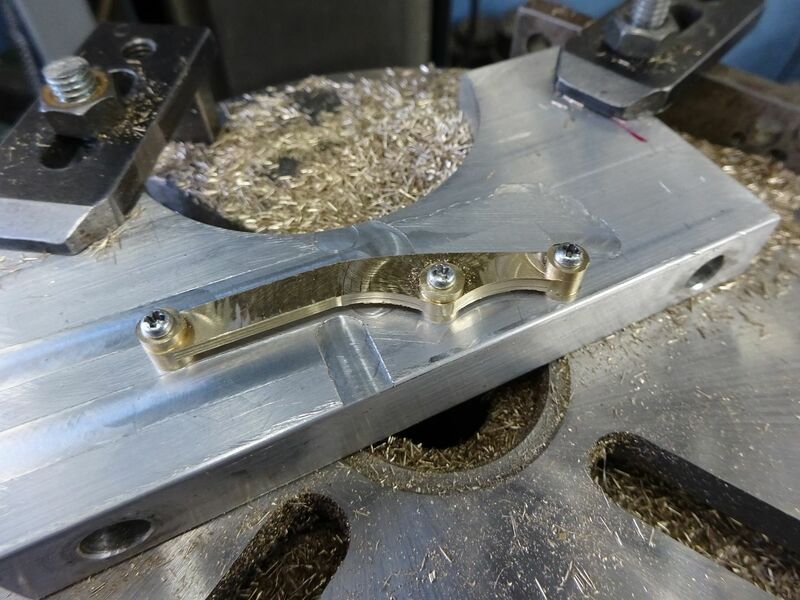 If you're starting with rectangular stock, just clamp a machinist's vise to the RT. 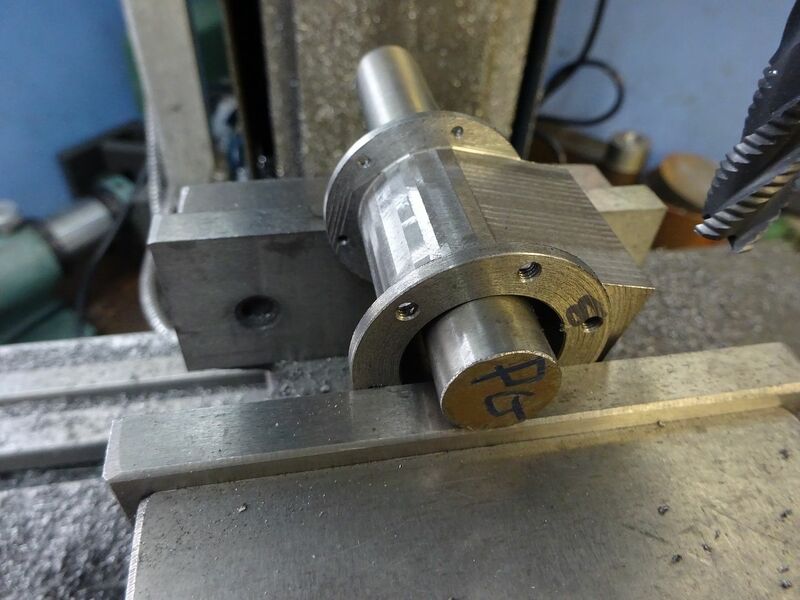 Other way is to clamp in mill vise with a rod through the bore as a spacer on top of the jaws, use end mill like he uses the lathe tool, been using that to do bearing caps recently. So here’s Cletus’ POV. Retirement; would love to, I think. However, at 58 and a tool spending habit that ranks up there with the Kardashian’s makeup bills , I keep on getting my old bum up each morning and trudging onwards . On the rotary table: I think the one that you’ve shown that you already have, should work fine. The dividing plates do come in handy for gear cutting. Granted, you can do the maths and arrive at the number of degrees, minutes, and seconds required for each tooth, but, it’s just a lot easier, in my eyes, to do it with plates and sector arms. Dividing heads are great and have thought about getting some AMEX points with the purchase of one, but, my rotary table works vertically and I have dividing plates; so what would I be gaining but the points My table has a MT 2 taper in the center hole and I made an arbor to take the chucks from my old South Bend. I have a spindexer and the only thing I’ve ever used it for was cylindrical grinding. If I were buying again today, my biggest concern would be rigidity. I want something robust enough that I don’t feel the cutter teeth biting as I turn the dial. If you do decide to upgrade, I’d look hard at the Shars 6” with chuck and add the plates and tailstock. Ok, I’m done babbling now. Jo, this was rounded in the spin indexer, leave the pin out and rotate after taking the majority off with faceted cuts. Rather than having to buy lots of tools Zee can use what he has, same applies to collets, I expect he has ER so can use them rather than having to buy5C and remember I only went for 5C as you offered a cheap chuck. 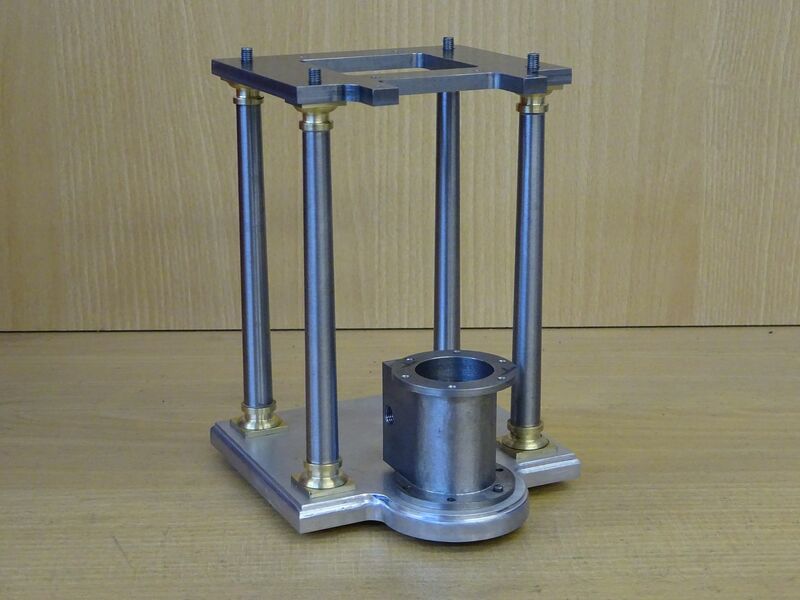 Better to learn to make the most of what you have rather than go out buying loads of stuff that may hardly get used though having a rotary table does usually get you free entry to teh "No Castings required" club. Couple I have "cast" in the last week or so. Attached is a drawing of the cylinder. @Marv...I'm not sure what you mean or how to hold the part. In any case, my machinist vise is too large or the RT too small. @Chris...Good idea although I like the idea of the RT telling me where the part is. As I think about it though...there are probably other ways to do it. Use the straight edges as stops? I'm thinking 1st job is the cylinder bore. Then go to the mill for the ports and various holes. 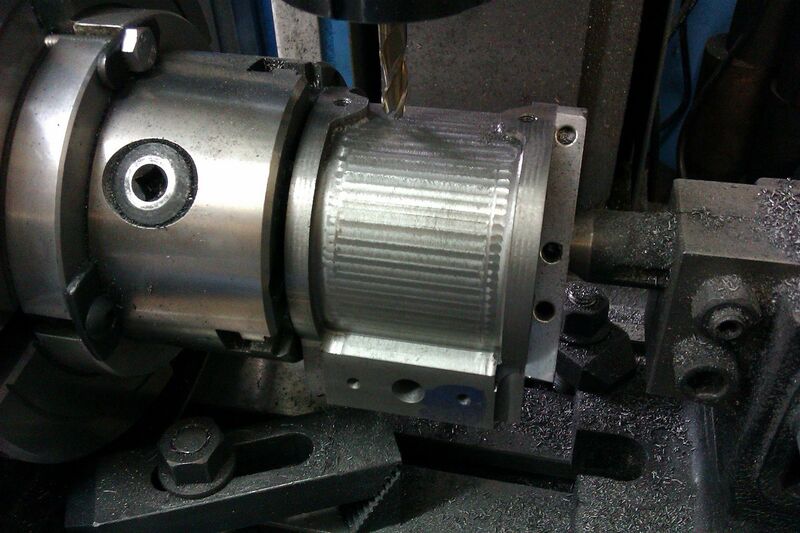 Last bit is machining the curve. Just saw your post Eric. I took a look at the Shars 6". Jo mentioned to avoid 3 slots but didn't say why. Just saw your post Jason. I have 5C. No ER at all. As for filing...see attachment. I'm concerned about the point where the curve comes into a flat (near the bottom). Your photo also makes me think I can use the spindexer. The bore is 1/2" and I have a 5C for that. 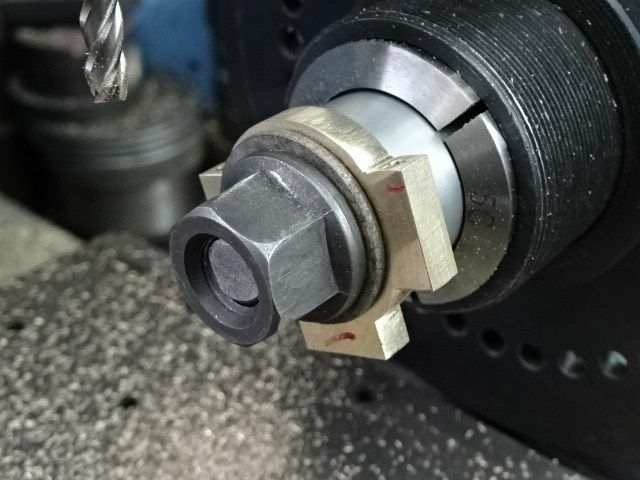 JBWelder: I read 5C on that collet. You queried how to do curved work not what to hold it with, I use what suits the job and as that was a bit of 1" bar I could hardly use a ER32. Also as I don't have a full metric set of 5C the ER get used for the ones I don't have. Standing it vertically in a vice won't give you that crisp joint where the curve meets the flat you will get a fillet the size of the cutter radius. 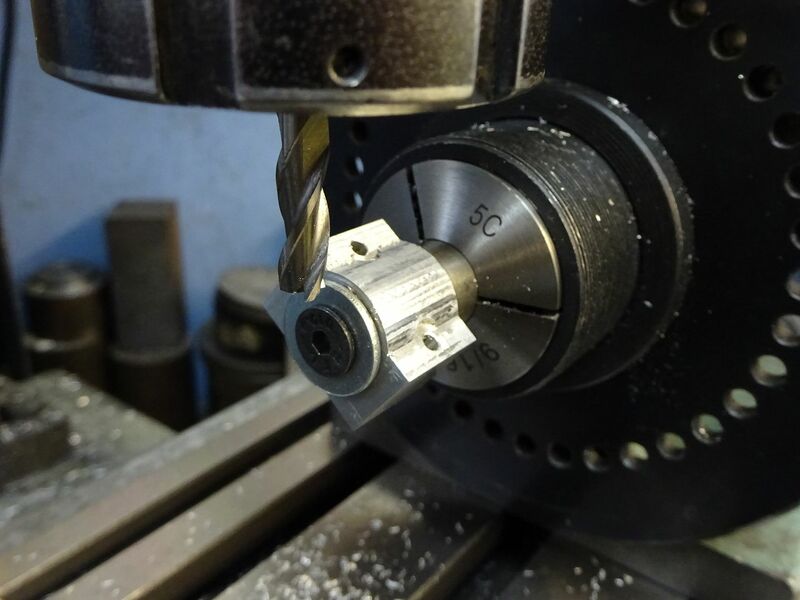 Thats why you put it horizontally in the vise, use a rod down the bore as a hieght spacer, and make a series of cuts with the bottom of the end mill, rotating the part in the vise between cuts. Bad Behavior has blocked 12988 access attempts in the last 7 days.